We have created a study book to complement this free website. Order it HERE online for only € 15 and it will be shipped to you directly. Together, the book and website serve as your teacher; your classmates can be found all over the world. You’ll find lots of exercise in the book that you can team up with your fellow students to do online. Did you know that at any time of day or night there are at least a dozen students online? That’s the big advantage of a global web-based course. You’ll be able to chat in Dutch with other students whenever it’s convenient for you. The book ties in seamlessly with the website. It contains lots of extra information and additional exercises. The texts and topics are the same, but they are explained and approached in different ways. It is as if you’re being taught Dutch by two different teachers, a virtual one and a paper one. You probably won’t always be around a computer. And even if you can be online at all times with your mobile phone or iPad, it’s handy if you can practice the lessons you’re listening to by just filling out the exercises in the book with a regular pen. lots of additional exercises that teach you to speak Dutch on your own. Of course, you can also listen to the texts that are included in the book on our website. The answers to the exercises are given in the back of the book. A book and a free course online. There are two possibilities, and in both cases you will be surprised! The first possibility: You want to learn Dutch, so you go to a bookshop and open this Taalthuis book. You are shocked! Where is the CD with all the spoken text? No CD means no sound, right? How on earth are you supposed to learn that strange language full of gggg’s if you cannot check the pronunciation of the dialogues in the book? Well, you can. No other Dutch language book in the world has an elaborate website like Taalthuis. Go to the website (no password needed, no registering, nothing!) www.taalthuis.com and you will find not only a teacher on video pronounces all the dialogues from the book, but also a large amount of exercises and interesting tips about learning Dutch and living in the Netherlands. You will find additional material for all the ten lessons in this book. 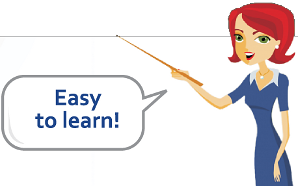 Moreover: there is a complete free extra course for advanced students – yes advanced! – because that is what you will be after you have learned the ten lessons in this book and on the website!